More in Heaven and Earth: We will Remember them . 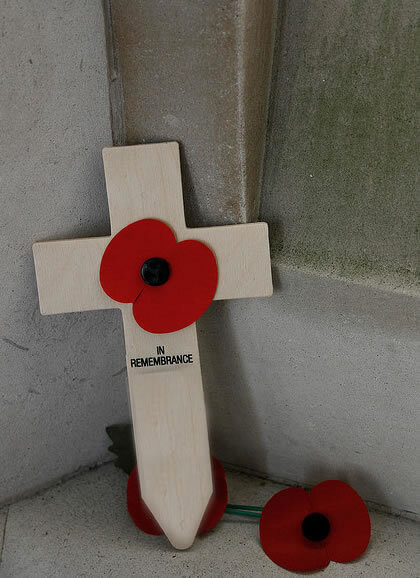 . . . .
We will Remember them . . . . . The Russian Civil War, the Soviet-Polish War, the Turkish-Greek War, the Irish War of Independence, the Irish Civil War, the Chinese Civil War, the Italian-Ethiopian War, the Spanish Civil War, the Chinese-Japanese War, the 2nd World War, the Arab and Zionist Rebellions, the Guerrilla War resisting the Soviets, the Greek Civil War, the 1948 Israeli-Arab War, the Kashmiri Conflict, the Korean War, the Malayan Emergency, the Invasion of Tibet, the Algerian War, the Vietnam War, the Guatamalan civil War, Angolan War, the Rhodesian War, the Namibian War, the 6 day War, the Cambodian Civil War, The Northern Irish Troubles, the Naxalite Insurgency, the Bangladesh Liberation War, the Yom Kippur War, the Ethiopian Civil War, the Lebanese Civil War, the East Timor War, the Chad Civil War, the Soviet Invasion of Afghanistan, the Chechnyan Conflict, the Salvadoran Civil War, the Iran-Iraq War, the Falklands War, the Ugandan Bush War, the Sri Lankan Civil War, the first Intifada, the Afghani Civil War, the Gulf War, the Yugoslavian Wars, the Somali Civil War, the Nepalese Civil War, the War in the Congo, the Kosovo War, the Liberian Civil War, the 2nd Intifada, the War in Afghanistan, the Iraq War, the Ivorian Civil War, the Sudanese Civil War, the Lebanon War, the Mexican Drug War, the Somali Civil War, the Gaza War, the Libyan War, the Syrian Civil War, the war on ISIL. In the World today conflict continues in Nigeria, Colombia, India, Afghanistan, Somalia, Iraq, Chechnya, Kashmir, Yemen, Mexico, Congo, Sudan, Burma, and Syria. And that is only the instances of major armed conflict. It does not begin to list all the one-sided 'wars' across the world fought by states and governments against un-armed civilians, often with more force, more equipment, more ferocity (and the loss of more lives) than conventional wars. Because of greed, because of race, because of politics or religion or language or power or fear, or for no reason at all. A few of the names are well-known to us: Holocaust, Armenian Genocide, Cambodian Killing Fields, Rwandan Genocide, Holodomor, Sarajevo. Many more are not. And we remember all those wars fought by governments or terrorists or criminals or a single bully who uses force to crush scattered people, or a few people, or just one person alone, with bombs or secret police, or torture, or camps, or prisons, or bullets or threats or fists. We remember each individual who gave his or her life for freedom or dignity or to save another whether soldiers or civilians. Raoul Wallenberg, Witold Pilecki, Józef Adamowicz, Janusz Korczak & countless, countless others, whether known to the World, or known to one or a few grateful or heartbroken souls, or known only to God. Even if we cannot, we rest in the faith that God remembers them. We remember them. Those who gave their lives to defend our peace & freedom and those who gave their lives to defend our Brothers and Sisters in countries around the world. "For no greater love has a man than this, that he should lay down his life for his brother" John 15:13. And we remember those who had their lives taken, despite the best efforts of so many to defend them. We remember each individual, and the millions of individuals known only as a place and a people. Though we cannot save them now, we can honour their lives and their sacrifice as we can through simply remembering them. And by giving our all to build a better world, in our own hearts, in our homes, in our own countries, and across the world, so no more names and places are added to the list that must never be forgotten.